Hi Matt, hoping you might guide me on this, I am looking to end up with a Golden Dataset approach. Was hoping there was a solution without looking at Dataflows as they are still in Beta, but if that is my approach will look into it. I have a monthly reporting process and currently use PQ in Excel to extract a snapshot of the data at month end. This file (Snapshot) is then kept static and used as a source for a second Excel file (Model), where substantial processing and measures are created. I refresh the Model multiple times as have parameters to filter out different aspects of the data. I want to move to using Power BI for both aspects of this process, but cannot work out how to have the Snapshot Power BI file become the source for the Model Power BI file. Using Live Connection prohibits adding additional tables (which are needed for the processing component) and I do not want the users to have access to the Snapshot file, so it needs to be in a separate Workspace. One aspect around this is that I want to be able to play around and develop the Model, refresh the reporting tables to update the changes, without refreshing the underlying data, ie maintaining the Snapshot as at the end of the month. Is there a way to use a Power BI file as a source for another Power BI model? No. It is not supported to use a .pbix file as a data source for another Power BI data model. You could submit ideas here. 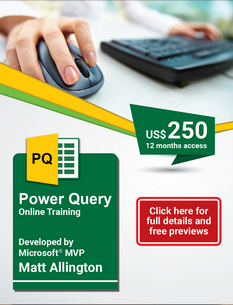 Besides, Incremental refresh in Power BI Premium might meet your requirement in some aspects.